Back in the day before the use of modern cell phones and desktops, if you had something big coming up, you’d write it down on a calendar hanged on your wall (unless you were one of those fancy cool cats with a notepad) with every month being greeted with a new picture for that month. The Mario Kart series 2017 calendar is coming to retailers starting August 9th, with themed picture from Mario Kart 8, Mario Kart 7, and more. Featuring all of your favorite Mushroom Kingdom friends in go karts, you can pre-order it on Amazon right here. Check out below all the details from the page listing. 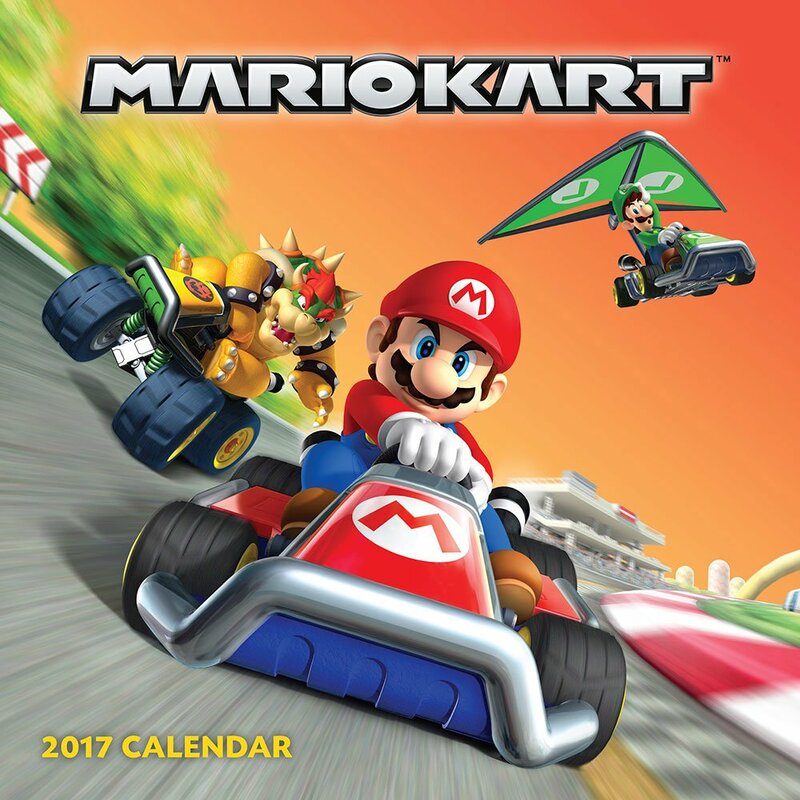 Speed through 2017 with your favorite Nintendo characters from the bestselling MarioKart™ video game franchise, including Mario™, Luigi™, Yoshi™, Princess Peach™, and Bowser™, as they zip to the finish line. With speed-boosting mushrooms, powerful fire flowers, hazardous bananas, and lucky coins, each month in this 2017 calendar will be full of adventure with colorful 3-D art at every turn. Includes art from MarioKart 7™, MarioKart 8™, MarioKart Wii™, and MarioKart DS™.